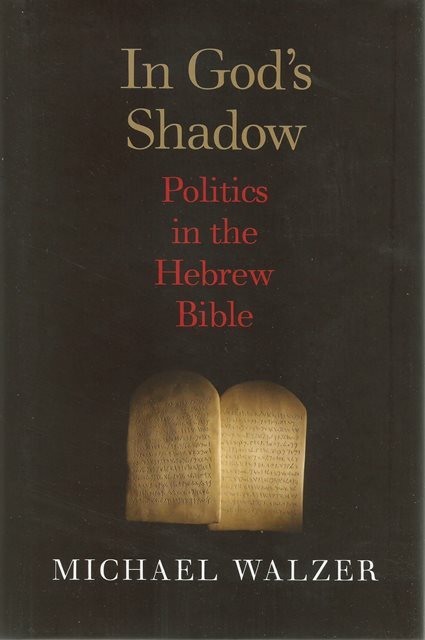 In God's Shadow by Michael Walzer reveals political theorist Michael Walzer's findings after decades of thinking about the politics of the Hebrew Bible. 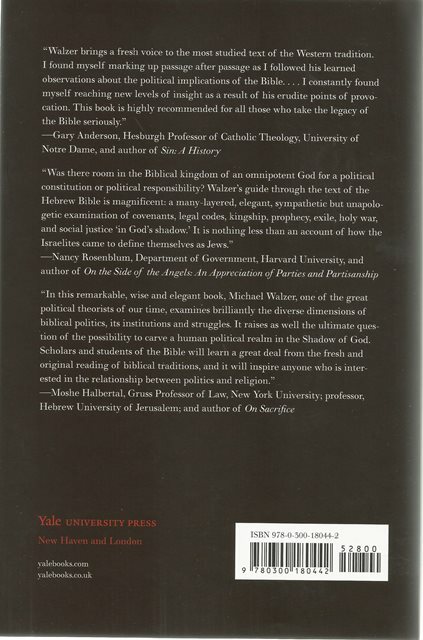 Attentive to nuance while engagingly straightforward, Walzer examines the laws, the histories, the prophecies, and the wisdom of the ancient biblical writers and discusses their views on such central political questions as justice, hierarchy, war, the authority of kings and priests, and the experience of exile. Because there are many biblical writers with differing views, pluralism is a central feature of biblical politics. Yet pluralism, Walzer observes, is never explicitly defended in the Bible; indeed, it couldn't be defended since God's word had to be as singular as God himself. Yet different political regimes are described in the biblical texts, and there are conflicting political arguments--and also a recurrent anti-political argument: if you have faith in God, you have no need for strong institutions, prudent leaders, or reformist policies. At the same time, however, in the books of law and prophecy, the people of Israel are called upon to overcome oppression and "let justice well up like water, righteousness like an unfailing stream."